The 61500 series AC power source defines new standard for high performance AC power source. It equips with all the powerful features. Such as power line disturbance simulation, programmable output impedance, comprehen-sive measurement function , wave-shape synthesis and regulation test software. These features make Chroma 61500 ideal for commercial , power electronics, ,avionics, marine, military and regulation test applications from bench-top testing to mass productions. The 61500 series line up from 500VA up to 4KVA,one phase output. This allows user to have maximum choices form R/D design verification, quality assurance, to produc-tion testing. 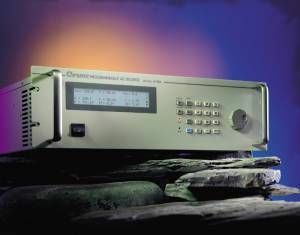 Using the state-of-the-art PWM technology, the Chroma 61500 AC source is capable of delivering up to 6 times of peak current verses to its maximum rated current which makes it ideal for inrush current testing. 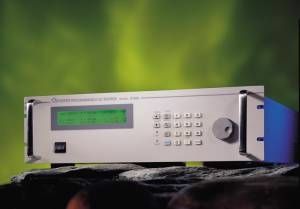 By using advanced DSP technology, 61500 AC power source offers precision and high speed power and harmonics measurements such as RMS voltage, RMS current, true power, power factor, current crest factor and up to 40 orders of current harmonics components. 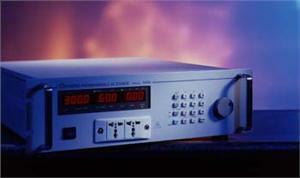 waveform, Chroma 61500 also provides an external analog input, to amplify the analog signal from arbitrary signal generator. Thus, it is capable to simulate the unique wave-form observed in the field. With the versatile programmable output impedance and regulation test software, the 61500 AC power source allows users to perform Pre-compliance and compliance test against IEC 61000-4-11/-4-13/-4-14/-4-28 immunity test regulations and IEC 61000-3-2/-3-3 emission test regulations by incorporating Chroma 6630 series power analyzer.